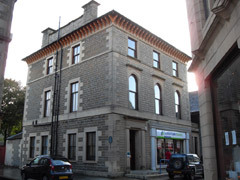 Scholes, Chartered Accountants is a leading small firm of accountants and business advisers based in Kirkwall, Orkney. We offer a range of accountancy, audit, business consultancy, human resources, corporate finance and taxation services tailored to the needs of individuals, businesses and not-for-profit organisations from across all sectors of the local economy. Our approach is based on a simple, client-centred philosophy. We seek to understand your goals, communicate clearly and provide quality advice and support. Our team of advisers possesses the technical skills you would expect, coupled with wider experience and skills drawn from a diverse range of business backgrounds. We offer a multi-disciplinary solution, drawing on the skills of different members of our team depending on the type of advice you require at any given moment. Our goal is simple: to help you, our client, achieve your full potential.